Microsoft Project 2010 Sync with SharePoint 2010–Sorting It Out! | Are you a user? Microsoft Project 2010 Sync with SharePoint 2010–Sorting It Out! The sync with Project 2010 is great, but there are some "issues" you might run in to. One of these is sorting the SharePoint task list so it matches up with Project. I’ve found the key to this is to add the WBS (Work Breakdown Structure) column to the sync columns and sort by the WBS column. For those not familiar with WBS, it is a hierarchical numbering scheme used for tasks in a project plan, similar to legal numbering of paragraphs, i.e. 1, 1.1, 1.1.1, 1.1.2, 2, 2.1, 2.2, 2.2.1, 2.2.2, etc. 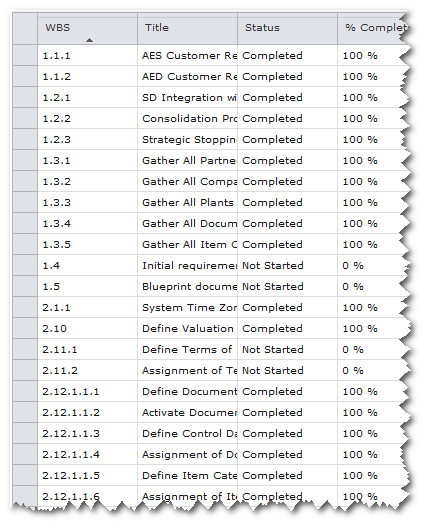 Using the WBS as a sort field allows you to keep the tasks in the project plan order. 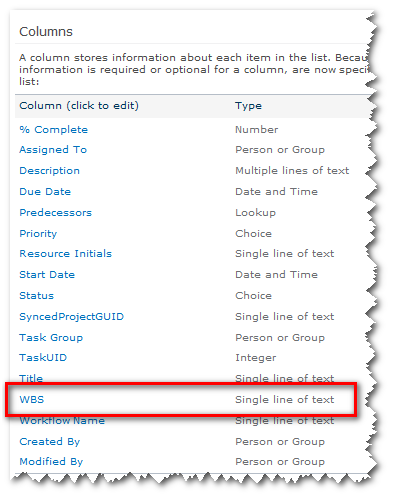 Add a simple text column called WBS to your SharePoint task list. 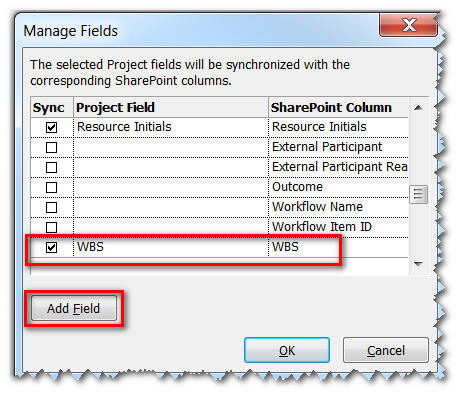 Using the Sync feature on Project Professional 2010, add the WBS column to the list of sync’d fields. 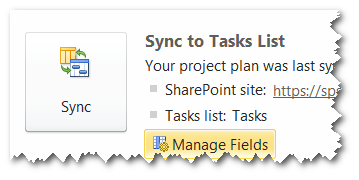 Sync your project to SharePoint (that can have its own set of issues). 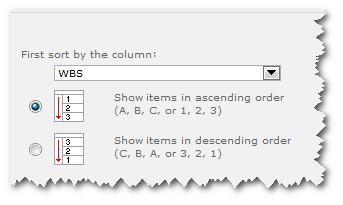 Add the column as a primary sort column to your view. Voilà! You are sorted by WBS! As you drill through the tasks, you’ll notice they are all in WBS order. If you create a view that excludes folders, you’ll see something like this. The important thing to note is, since this view is excluding folders, the summary tasks are not shown, as they are implemented as folders in SharePoint.